It’s hard not to think about the numerous campaign settings that were released for D&D when one thinks of 2nd Ed. In fact, campaign settings are likely the reason for that edition’s popularity throughout the 90’s. 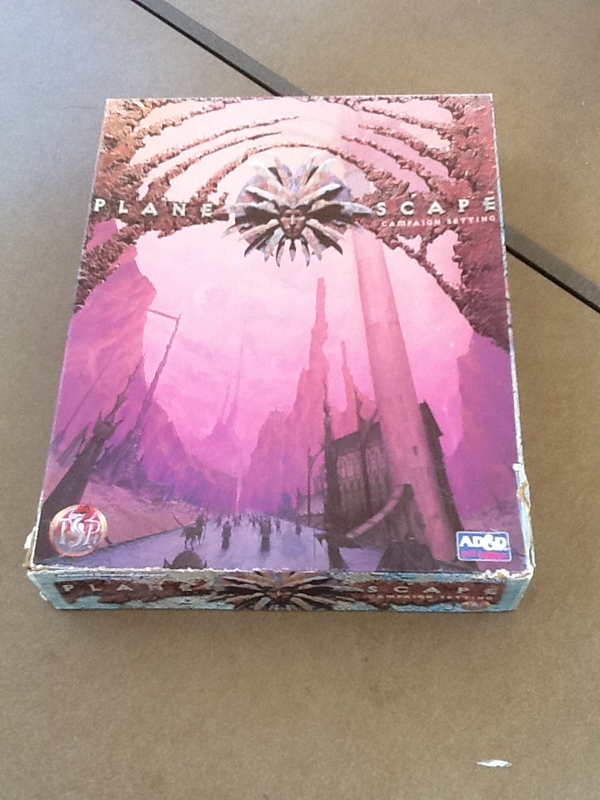 The era of the boxed sets brought gamers many jewels, and to many, the brightest one of all was Planescape. 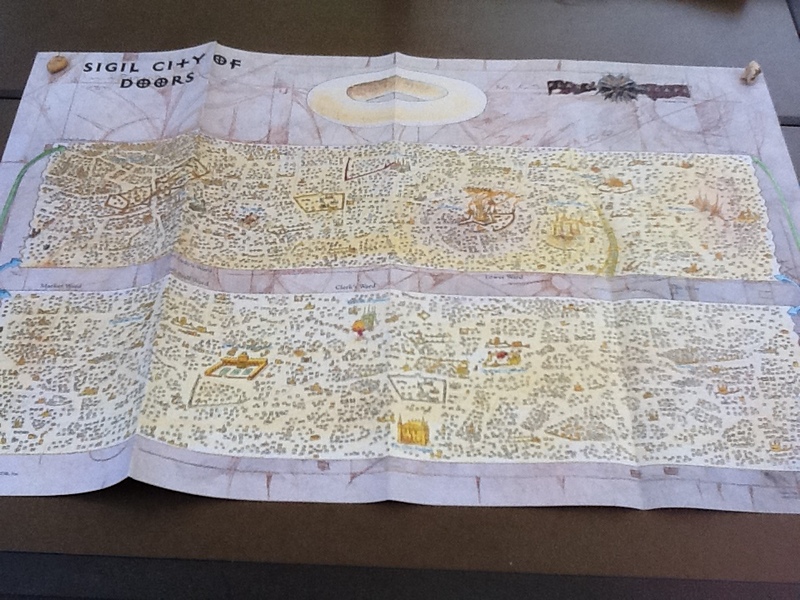 Planescape was released in 1994, and was designed by David “Zeb” Cook, who also happens to be credited with the 2nd Ed. 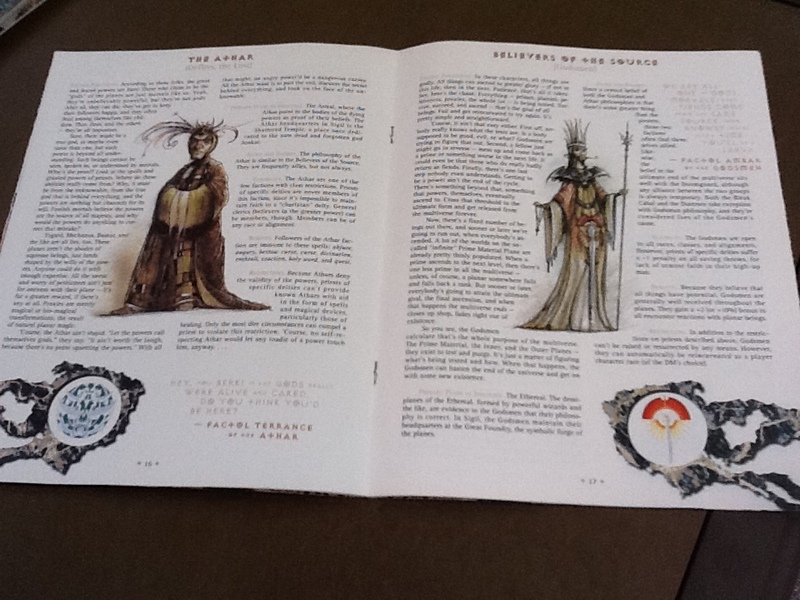 design for D&D. 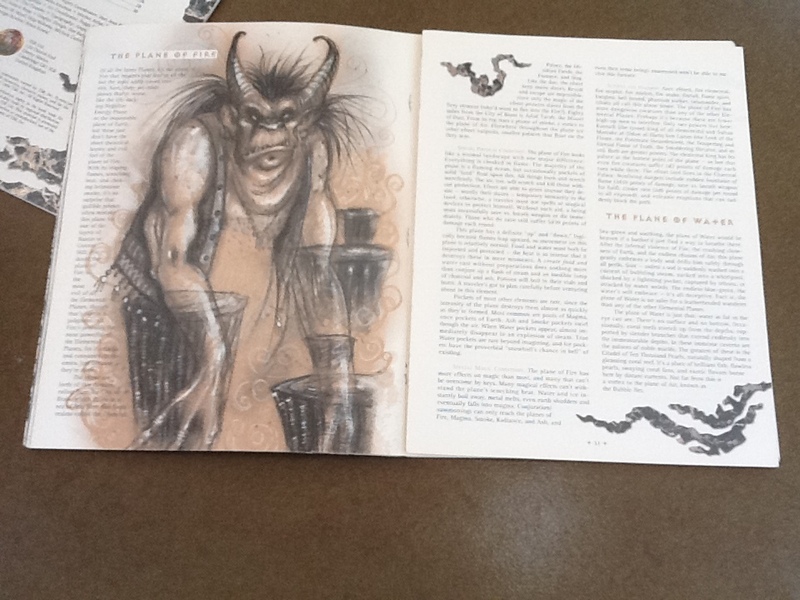 Planescape took the Great Wheel cosmology developed by Jeff Grubb in the Manual of the Planes and fleshes it out in a sort of victorian setting chock full of inspiring artwork and writing. It always ranks at the top of the charts in terms of best boxed sets of the era, and it’s not hard to see why. The artwork by Toni DiTerlizzi (Spiderwick Chronicles) is inspiring, and was completely out of the ordinary for anything D&D had seen at the time. It really is a fine, fine gaming product. 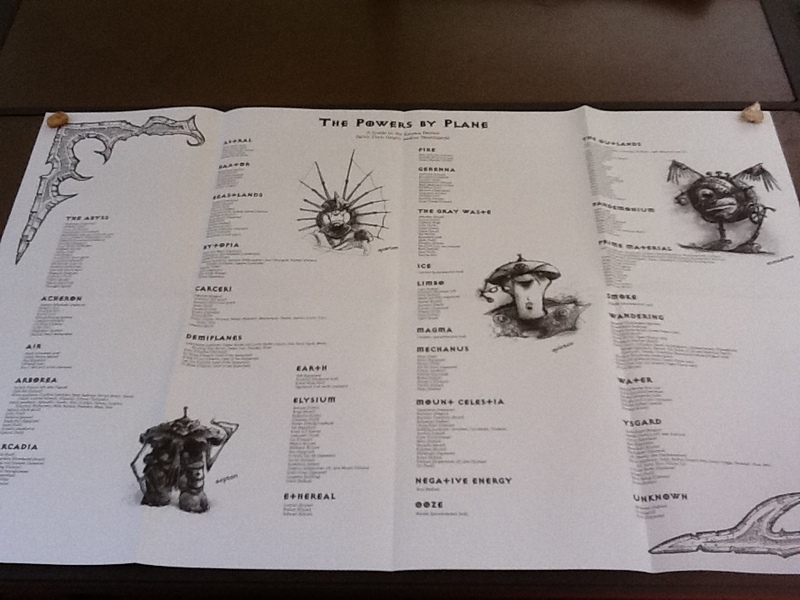 A Players Guide to the Planes: a 32 page book introducing players to the multiverse. A DM’s Guide to the Planes: a 64 page book full of secrets for the DM regarding Sigil and the Planes. 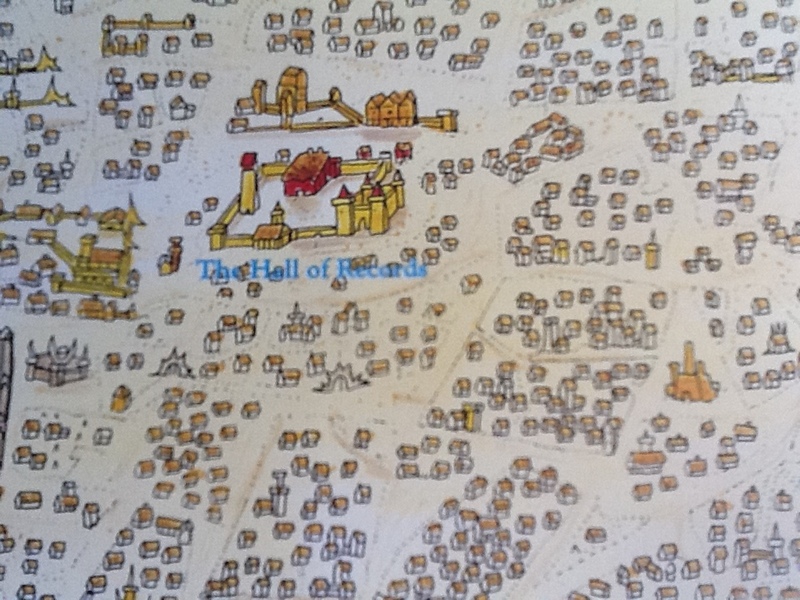 Sigil and Beyond: A 96 page book introducing Sigil, The City of Doors. 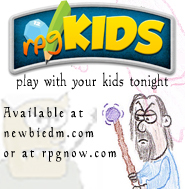 It serves as a starting point from which players can branch out to other planes. 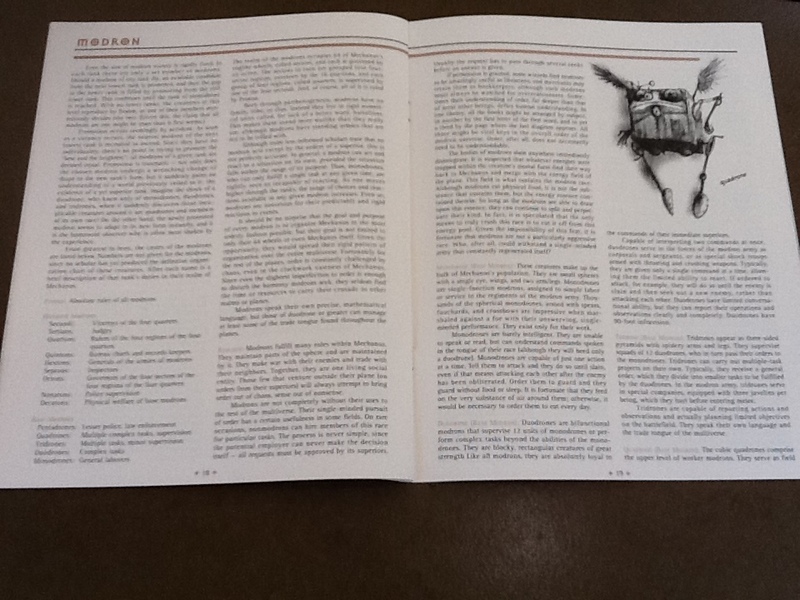 Monstrous Supplement: A 32 page book full of planar monsters. Modrons anyone? In 1994, it had a MSRP of $30.00. 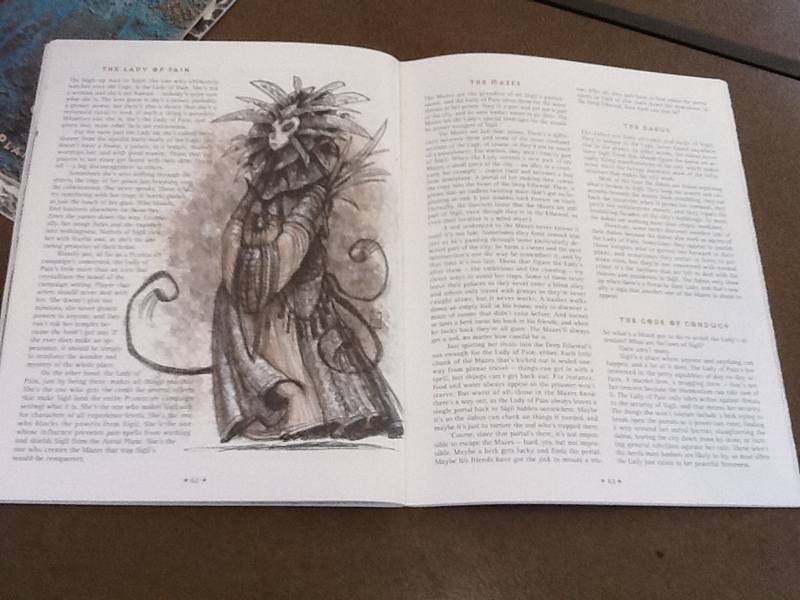 The Lady of Pain as seen inside the “Sigil and Beyond” book. 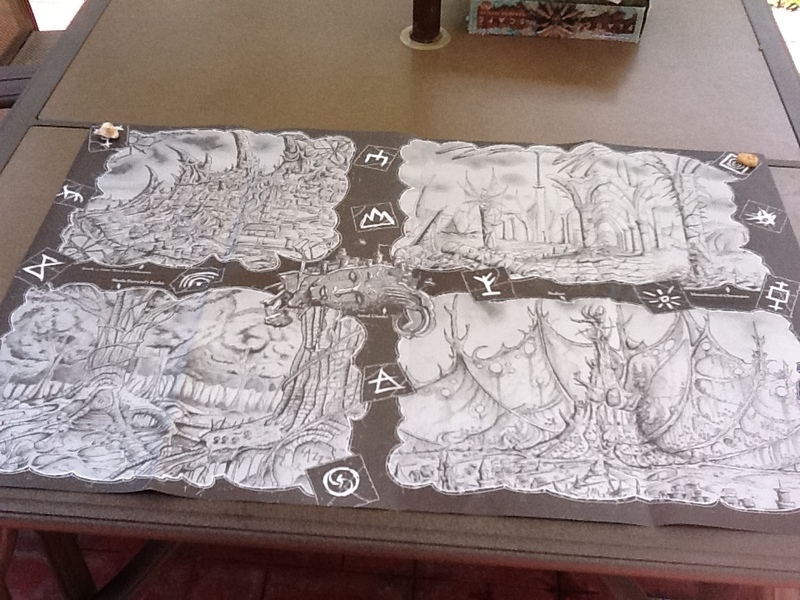 The back of the Sigil map is a black and white of the city. 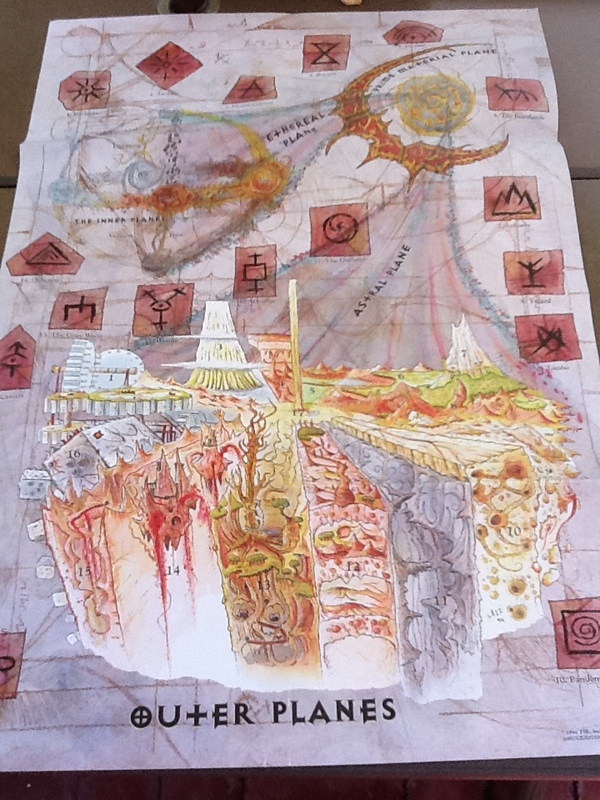 A closeup of a section of the Sigil map. 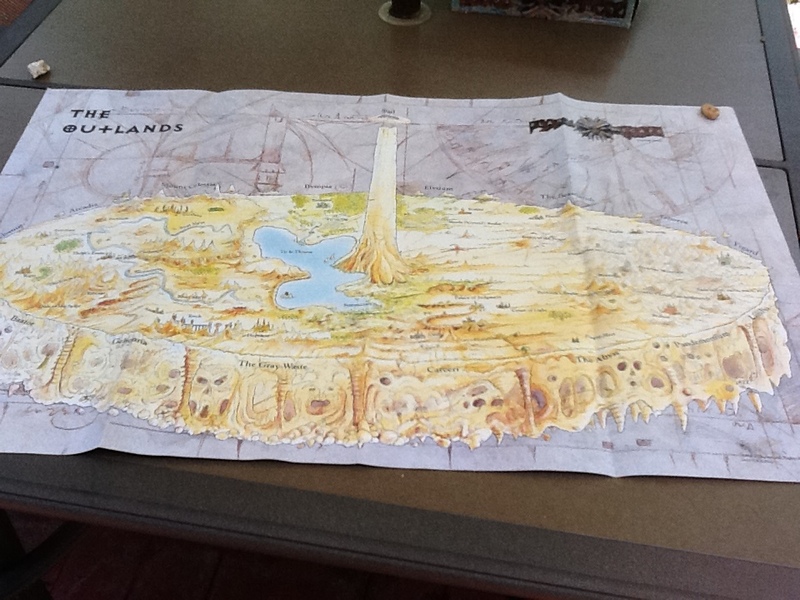 The back of the Outlands poster. 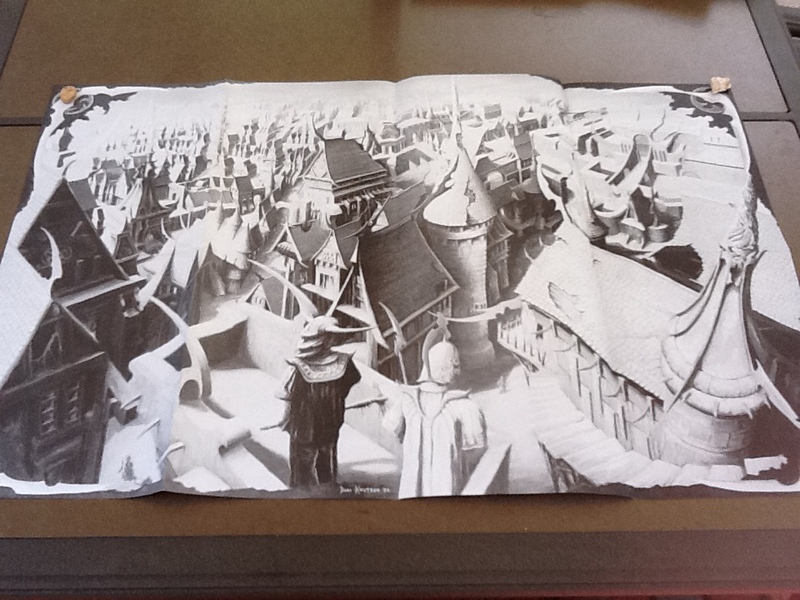 The back of the Outer planes poster. 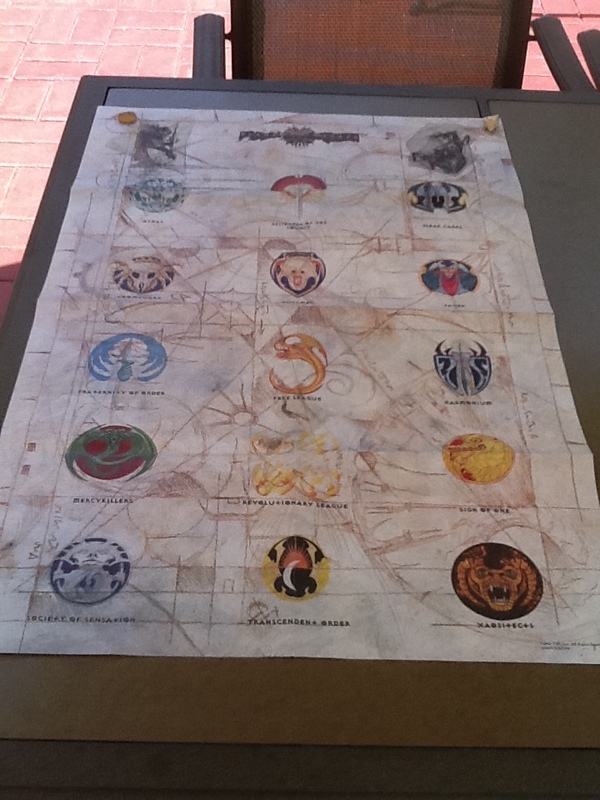 The back of the Factions poster. The Dm screen had a portrait orientation, as was the standard back then. 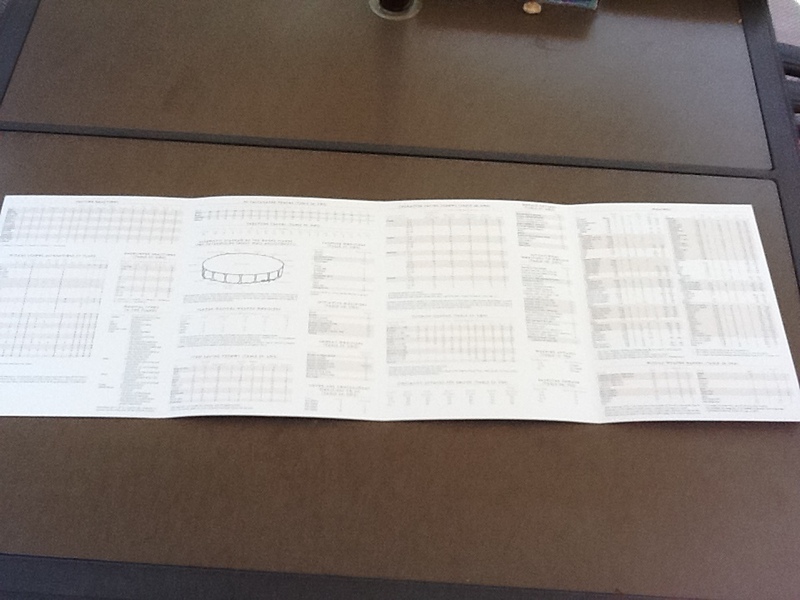 Some charts were adapted for planar adventures. 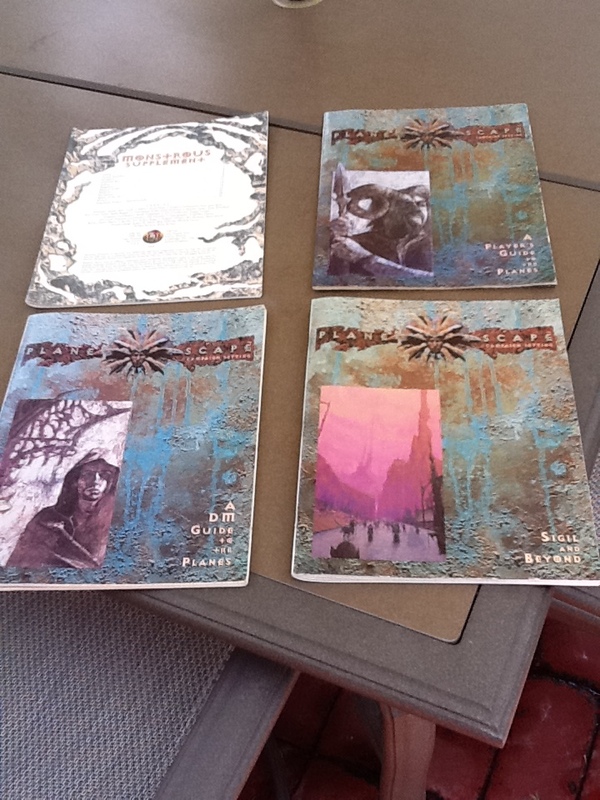 To many, Planescape was the gold standard of boxed sets of the 2e era, and now you can see for yourself what the box is all about. I hope you enjoyed this planar trip down memory lane. One of my favorite boxed sets. It has a place of distinction on my gaming shelves along with the many awesome Planescape supplements released. Man, that is a great boxed set. I have this one, and the “Planes of Law” I believe. I really wished the Eberron campaign setting had been done this way. It really is a work of art. Good memories, man. But definitely worth it. 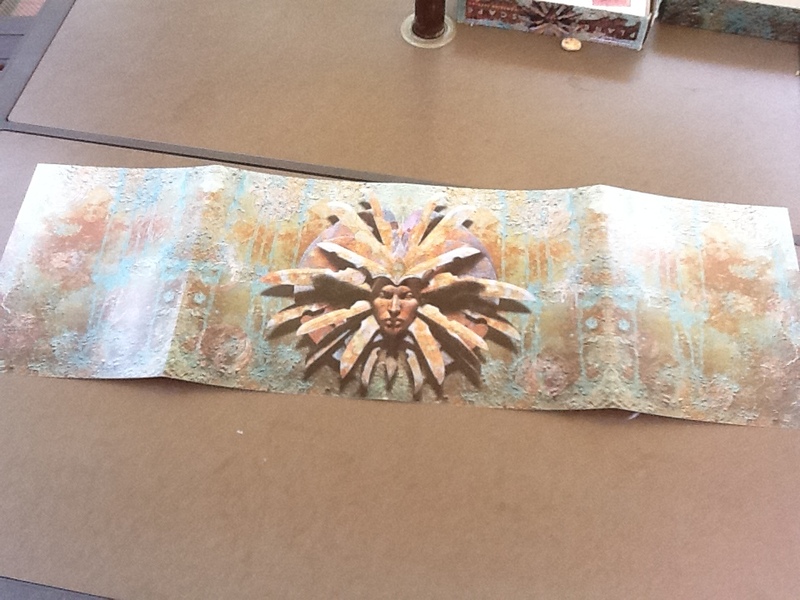 I often use stuff from the planescape boxes in my 4e campaign…it’s some of the best D&D material ever. 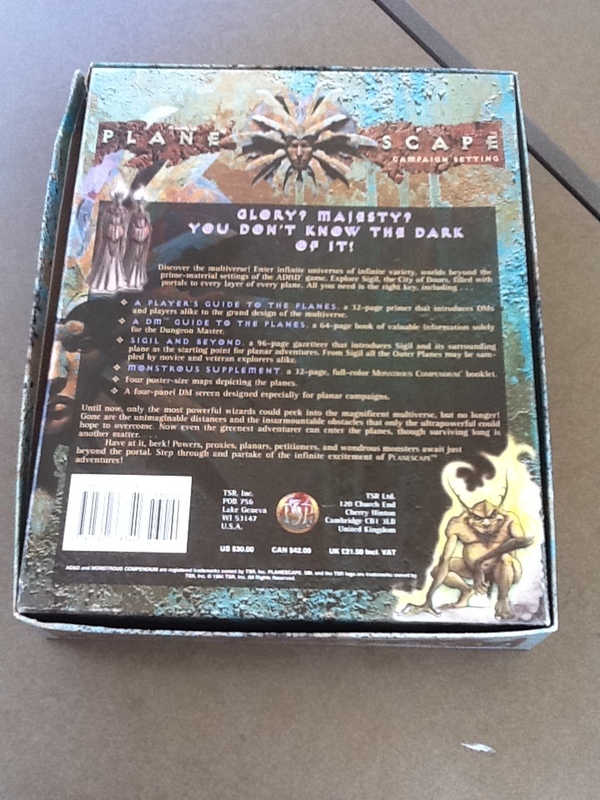 Yeah great box – planescape always lit a certain fire in me. 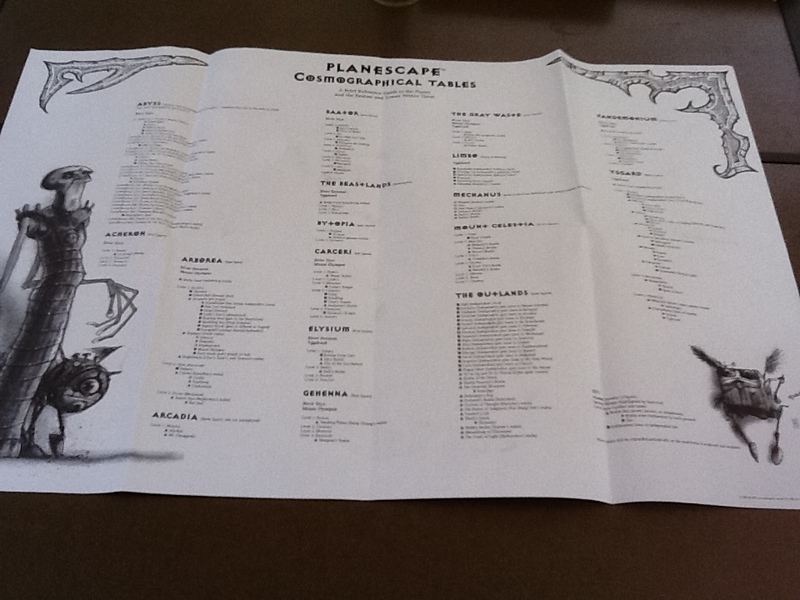 Back in the days I bought all the planescape stuff, but never shifted my campaign to the planes. @ malaclypse true: Legendary Di Terlizzi art! Great post! Of course as a manager on Planewalker it’s hardly surprising that I’d love to see this!